I'm going to be retiring this blue bottled beauty soon. 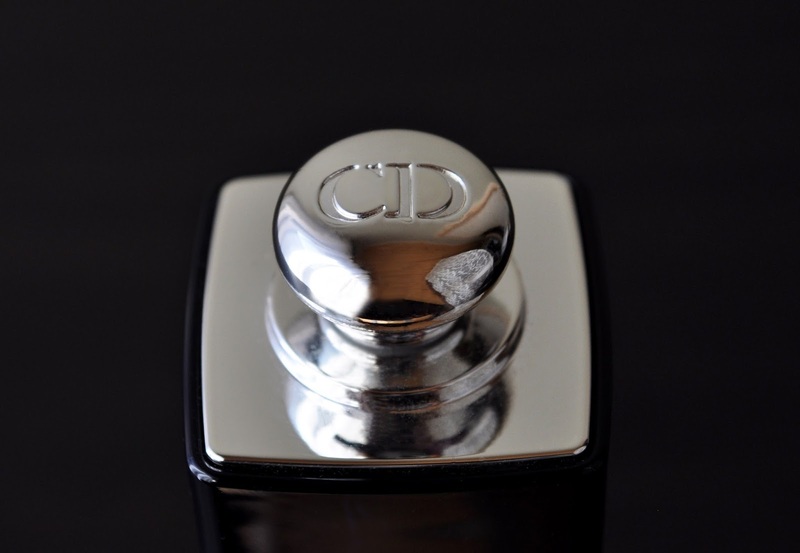 But, before I do, let me introduce my all-time favorite signature scent for winter: Dior's Dior Addict Eau de Parfum. In telling the little tale of how I discovered the Dior Addict Eau de Parfum, I'm about to date myself... big-time! 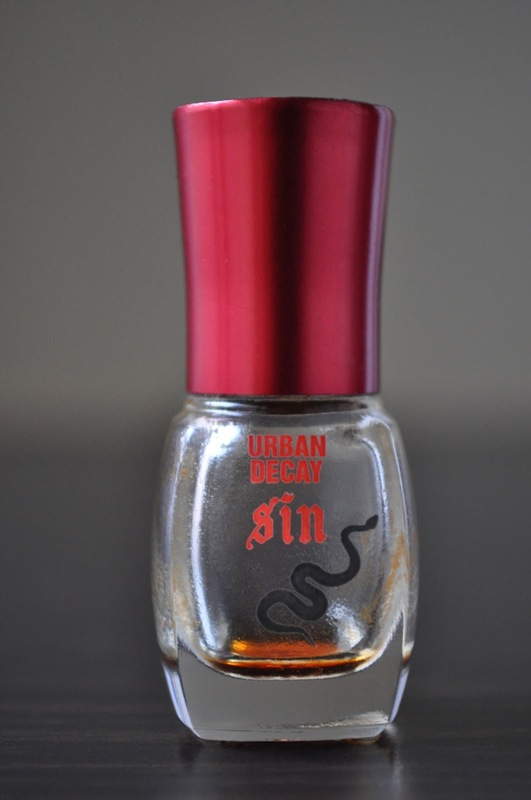 Yup, I still have a bottle of Urban Decay's Sin. Way back in 2004, my friend Maria worked for Urban Decay. During one of our hangouts, she gave me several products from the brand, including a handful of their Sin oil perfumes. Does anyone out there remember these roll-on perfumes? Anyhow, I was mad about the sultry spicy scent. I don't recall the year (I wanna say, 2006), but when I went to repurchase the oil, it had been discontinued; thus, causing me to have a "what the @#$%" moment. With bottle in tow, I hit the fragrance counters, desperate to find Sin's replacement. Eureka! Behold Dior's Dior Addict Eau de Parfum; it smelled exactly like the Urban Decay Sin Oil Perfume. But, I'm pretty sure, Sin was a Dior Addict knock off. The Eau de Parfum opens with the top note of Orange Blossom, heart note of Jasmine Sambac Absolute, and a base note of Bourbon Vanilla. 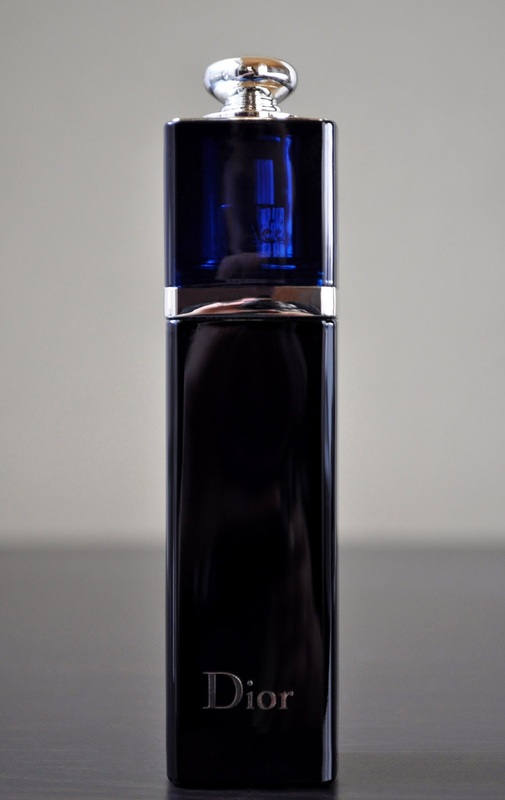 Dior Addict is a dark, seductive, intoxicating, warm, spicy fragrance. When I wear this parfum, I imagine I'm some femme fatale in a film noir. 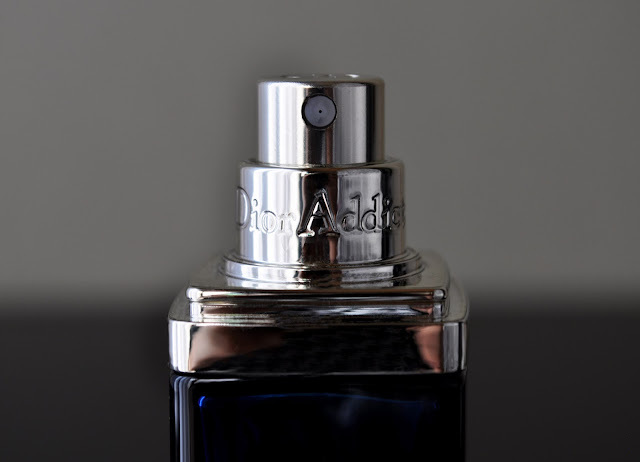 This Eau de Parfum has gone through three different reformulations, with minor differences between them. I have the bottles from the first and second formulation back in the states. But, I'd say this third version is a tinge less spicy then the original; nevertheless still as spellbinding. I get so many compliments from my colleagues and clients, even my students comment on how good I smell. A while ago, Aki was standing next to me while I cooking, and as we were talking, he randomly said, "you smell good." I used to purchase the 50ml bottle(13,500 yen), but given I change my perfumes seasonally, I started buying the 30ml (9,180 yen). Even since the beginning of winter (December 21st), I've used it every day, and I'm 1/3 of the way through the bottle. To demonstrate the longevity of Dior Addict, I spray the left and right side of my decollete before leaving my apartment in the morning (no later then 6:30am). The Eau de Parfum last, without fading, until my evening shower, which is around 11:00pm. That's almost seventeen hours! If you're looking for a enticing, smoldering fragrance with some mystery, I highly recommend Dior Addict Eau de Parfum.